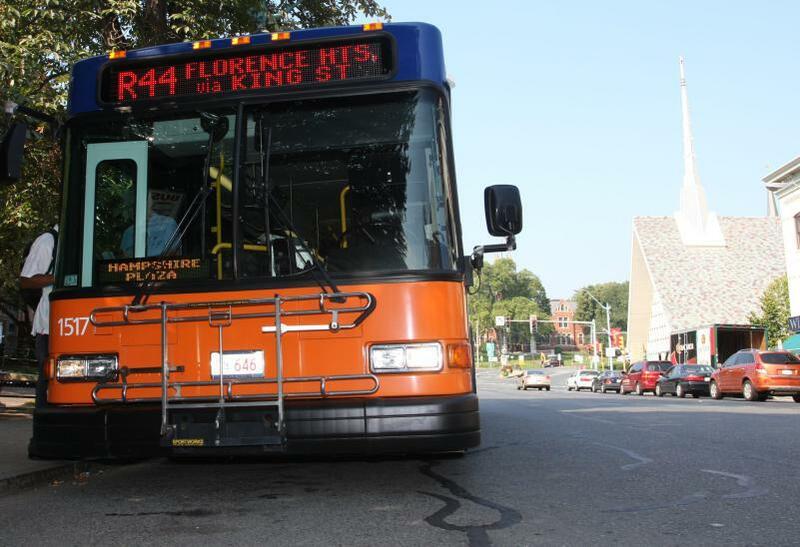 Ridership rose dramatically on Pioneer Valley Transit Authority buses after Massachusetts state-financed service changes took effect earlier this year. Nationally, it appears public transit is growing more popular. Ridership jumped 12 percent in September and 9 percent in October as the state’s second-largest transit authority rolled out the biggest change in fixed-route bus schedules in nearly a decade. PVTA Administrator Mary MacInnes said she was thrilled by the latest ridership data. "Normally when you make service changes you have to let almost a year ago by before you see percentage increases like this," said MacInnes. " It is just amazing to me." The changes include seven new bus routes, longer hours of service on 14 routes and buses running more frequently on 15 routes. The changes took effect between late August and early September in greater Springfield, Northampton and Amherst. MacInnes said the PVTA is still publicizing the changes. "We are going to track each route every month and do what we have to do to keep this trend going." The major changes include the addition of crosstown buses in Springfield that eliminate the need for riders to travel to the central bus terminal and take another bus out. A new route between Holyoke and Amherst is being promoted as providing access to educational opportunities for Holyoke residents and shopping opportunities for college students at the Holyoke Mall. MacInnes said the PVTA is on track to record 12 million passenger trips in 2014, which would be the most of any year since 2000.
" The added factor of fuel prices actually going down dramatically makes it even more interesting,"observed MacInnes. The PVTA received an additional $4.2 million from the state this year to pay for the service improvements. John Bennett of the Massachusetts Senior Action Council, who is an advocate for public transportation, said it is significant the service enhancements were not accompanied by a fare hike.
" There has not been a fare hike on the PVTA since 2008 and I think that is really remarkable." Springfield Mayor Domenic Sarno, who sits on the PVTA Advisory Board, said successful public transportation is important to downtown Springfield’s future as he looks to have more market rate housing available in the city center. "People can get on that bus and connect with a train or Peter Pan Bus and go anywhere in New England, just by walking outside your market rate apartment," said Sarno. " So that is the key as things blossom here." The Springfield bus terminal for the PVTA will be located in a new $85 million downtown transportation center that is being built at the city’s former Union Station and is scheduled to open in 2016. Marc Draisen, Executive Director of the Metropolitan Area Planning Council, told the Boston Globe that public transit is becoming more popular across the country, particularly in big cities. He said more people are delaying getting drivers licenses and choosing to live without cars. The MBTA reported a record number of riders in October and ridership for the fiscal year is up 1.2 percent despite a fare hike that took effect in July. Extensive state-financed service changes are being rolled out later this month at the largest regional transit authority in western Massachusetts. Pioneer Valley Transit Authority riders are being promised faster, more efficient, and cost-effective service. The changes include seven new routes, longer hours of service – mostly on the weekends – on 14 routes, and buses running more frequently on 15 routes. This will be the transit authority’s biggest change in fixed-route bus schedules in nearly a decade, according to PVTA Administrator Mary MacInnes. State Transportation Secretary Richard Davey is pressing the Massachusetts Senate to approve a transportation bond bill as a new construction season approaches. The $12.7 billion bond bill approved earlier this month in a unanimous vote in the Massachusetts House includes funding for some long-sought projects in western Massachusetts. A New York City-based developer unveiled plans today for a major renovation to an apartment complex in downtown Springfield. The project was hailed by city officials as another big step in downtown’s revitalization. Officials with the SilverBrick group outlined plans for what they said would be a $6 million renovation of the 280-unit complex that fronts Main Street. The extensive makeover will include luxury amenities intended to persuade people to pay market-rate rents to live in the urban center.